This CAC REC-77 22 oz. 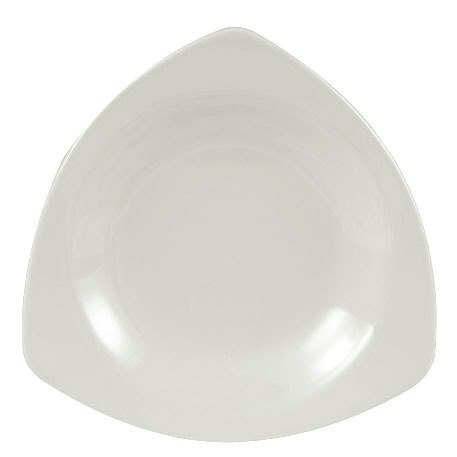 american white Festiware triangle pasta bowl adds a splash of geometrical glamor to any table setting. It's perfect for serving salads, soups, or pasta dishes at your trendy restaurant. The Festiware 22 oz. triangle pasta bowl has an overall width of 10 1/2".